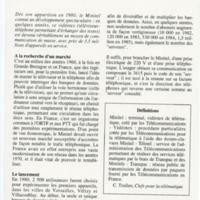 This is a trading card with general information about the origins of Minitel published in 1989. 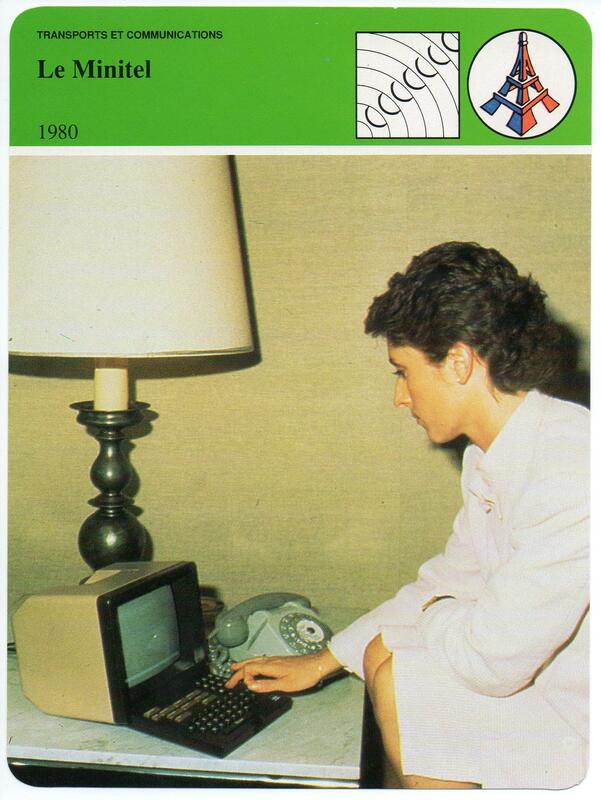 The photo on the front of the card depicts a typical installation of Minitel terminal equipment in the home. 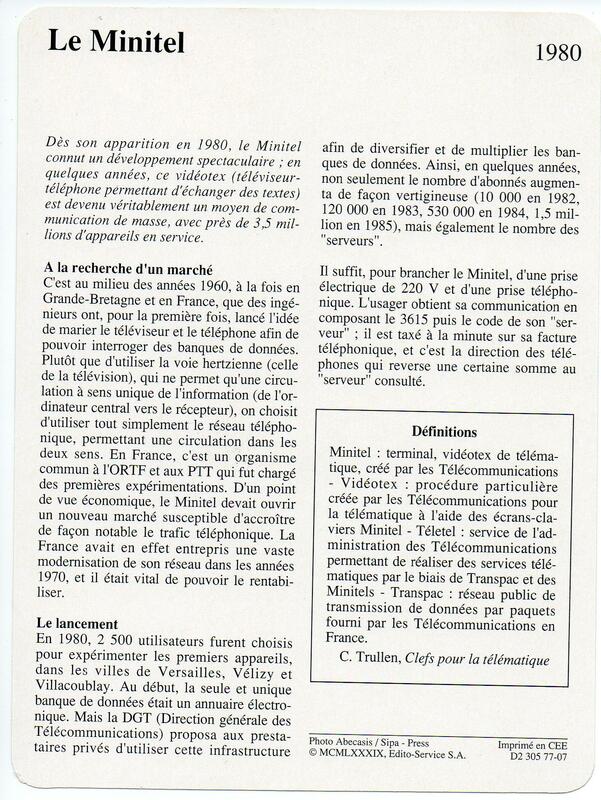 While a PC might be stored in a home office or on a student's desk, the Minitel terminal is placed on an end table alongside the standard telephone.